Is it Better to Donate or Sell a Car? Are you thinking of donating a car to charity? While donating a car is an easy way to quickly get an old vehicle off your hands, you have to be sure you are doing it for the right reasons. Contrary to popular belief, donating a car will not give you a huge tax break, so if you are in it for the money, it might pay to sell your car a traditional way. Most charities will take anything. While not every dealer or private buyer will take an old clunker, charities are often happy for anything. They will often even tow it away for you if it is too old to run on its own. It is a straightforward process. If you want to donate a car, simply call a car donation charity and someone will come to pick up the car at your house – and that is all you will have to do. You will likely get tax benefits. Since you are making a donation to a charity, you will likely be rewarded for your good behavior come tax time. You will just need documentation from the charity to prove you transferred the title to them and that they have accepted the donation. You will feel good about yourself. A car is a big donation, so you can give yourself a huge pat on the back for setting aside money to a charity you love and respect. It can be a hassle to actually reap your tax benefits. The paperwork is complicated and sometimes not worth the trouble. You will need to carefully select the right type of charity, find the fair market value of your car, figure out how the charity will make use of your vehicle, acquire a Form 1098-C, and you (or your accountant) will need to read IRS Publication 78 – not exactly light reading material. You probably won’t get that big of a deduction. Sometimes, charities sell cars at auction for as little as $50. 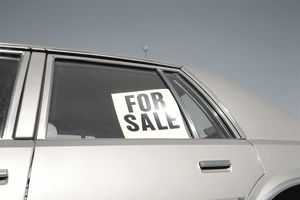 Unless the car is being used by the charity (instead of sold for a profit by them), you will not be able to deduct its full value for tax purposes. You will likely, at most, be able to deduct a few hundred dollars. If your car is sold for under $500, you can either deduct $500 or the fair market value, whichever is less. You will have to itemize your tax return. Because President Trump increased the individual deduction to $12,000 and the married deduction to $24,000, it likely does not make sense to itemize your deduction unless you have many other deductions. The value of your tax rebate is usually capped at $500 unless the charity is using it directly. You might be audited. If you donate a non-cash item, the IRS gets suspicious – meaning your chances of being audited go up, which is fun for no one. If you do decide to donate a vehicle, make sure you give it to a 501(c)(3) charity if you’re hoping to get a tax deduction, and be sure to donate only to a charity that is experienced in car donations if you want an easy time of completing the necessary paperwork. Of course, if you know someone in need and are not worried about the tax deduction, you can also just give the car to someone else. You will get money for doing so. Obviously, the biggest advantage of selling your car is that someone will give you money in exchange for it. You won’t have to wait until tax time to reap the benefits. You will have more to give your favorite charity. Because selling a car will give you money instead of a potential tax break, you can give money directly to charities you love without asking them to go through the hassle of selling a car for you. If you want to make the maximum impact on charity, ironically, it may pay to sell your car yourself. It can take a little while. The average time it takes a private seller to sell a vehicle is two months, meaning it could be a very time-consuming process. If you want to be rid of your vehicle and are not trading it in for a new one, this can be a hassle. Still Cannot Decide if Donating Is Right for You? The best reason to donate a car is to help others. The second best reason is to get the vehicle off your hands as soon as possible. If those are two factors that interest you, then donating is the way to go.